Your gut consists of microscopic bacteria that are responsible for absorbing and processing vitamins and nutrients that are derived from the foods you consume. When these normal functions become inhibited, disturbed, or out of balance for one reason or another, the result is constipation. Essential oils aid in healing and relieving constipation and other gastrointestinal issues such as diarrhea. This is due in large part to their natural function to protect the plants from which they’re originally extracted from external destructive bacteria. Unsurprisingly, essential oils—when used correctly—have the same effects on the human body. The fact is that constipation affects more than 60 million Americans, and even though it’s not usually a serious problem, there are numerous simple and complex factors that can contribute to the onset of constipation. These include dramatic and sudden changes to your diet and exercise routine, dehydration or not drinking enough water, fiber deficiency, or irritable bowel syndrome (IBS) to name a few. Treatment methods depend on the cause, severity, and longevity of constipation. Since constipation generally isn’t considered to be a serious health issue, it can often resolve itself if you make simple lifestyle changes. However, there are certain instances in which constipation can last weeks or months. This is what’s known as chronic constipation and it’s a serious condition that can lead to a series of other health complications if left untreated. Natural home remedies aren’t sufficient to treat this condition, so it’s important to resolve the issue before it gets too out of hand. Keep reading to learn which essential oils are good for constipation and how they should be used for optimal results. Certain essential oils are highly beneficial for treating constipation. However, they must be implemented in very specific ways to ensure they’re safely and effectively incorporated into your diet and other health-related routines. Periodic constipation isn’t a serious issue, but if it persists for a long time, you should get it checked out. Typically, the most common cause of constipation is not getting enough fiber in your diet. In this case, increasing your fiber intake either through your diet or supplements may be a viable solution. Essential oils have potent and natural fragrances that are extracted from a variety of plants. They have numerous healing and restorative properties that promote optimal health. One of their well-known uses is to help treat and relieve constipation. They’ve been used for centuries and have potent medicinal uses that can help treat a variety of health problems and ailments. In this article, we’ll focus mainly on how to use essential oils for constipation. Keep in mind that all essential oils are highly concentrated and should never be used to their full capacity. Following the warnings and directions provided by your doctor or those that are listed on the labels is imperative to guarantee safe and effective use. Dilute essential oils with carrier oils like olive or coconut oil before placing them in direct contact with your skin. This is to protect yourself from potentially adverse reactions such as an unexpected rash outbreak. You never know how your skin will react to an essential oil you’ve never used before. Use an infuser to inhale essential oils or have them permeate the air in your personal space; if you don’t have an infuser, you can boil a small amount of any essential oil in a pot of water and inhale the steam. You can also mix in trace amounts of essential oils with other products you use on a regular basis such as hand lotion, body lotion, or body wash.
Place a few drops of your favorite essential oils on a warm washcloth or hot compress. Not all essential oils are safe for consumption or to be used by everyone. Consult with a licensed and experienced aromatherapist or your doctor before starting a long-term essential oil regimen. Used in a lot of Chinese and Indian cuisine, but has also been proven to have a lot of healing properties and digestive health benefits. Much more heavily concentrated than the entire ginger root, and because of this, the best way to use ginger oil is by combining it with a warm or hot compress and placing it on your stomach rather than making direct skin contact or ingesting it. How to use ginger oil for constipation: Apply two drops to a warm towel and place the towel on your abdomen until it cools down. Once this happens, massage your abdomen in a clockwise motion. Menthol can sometimes irritate sensitive skin types, so watch out for burning sensations, redness, bumps, or any other signs of an allergic reaction—if this happens, wash it off immediately and discontinue use. Always make sure to dilute peppermint oil before using it. How to use peppermint oil for constipation: Mix in three to four drops of peppermint oil with a warm carrier oil to diminish its potency and then gently work or massage it directly onto the skin wherever you feel pain or discomfort. For best results, you can do this about three times a day as long as you don’t experience any negative side effects—this effectively helps to relieve pain and relax your muscles. How to use fennel oil for constipation: Combine with a warm carrier oil and massage onto abdomen or inhale through an infuser. Massage method: Massage into the abdomen, starting with slow and small circular movements and then gradually increase the size of the circles, alternating directions occasionally. Consists of strong soothing properties, promotes relaxation, and creates a calm sensation. How to use lavender oil for constipation: Diffusing lavender oil can have a physically and mentally calming effect, which in turn helps relieve digestive issues, especially constipation. Best time to use lavender oil is in the evening right before bed because it also promotes deep and restful sleep patterns. Follow up infusion with a light abdominal massage—again, combine lavender oil with a warm carrier oil beforehand. Can either be used alone or combined with lavender oil for optimal results; dilute both oils first. How to use chamomile oil for constipation: Place two drops of chamomile and lavender oil on your fingertips and then slowly massage this concoction onto your stomach or abdominal area about two to three times daily. This stimulates efficient digestive functions and relieves bloated feelings as well as slow and difficult bowel movements. Contains anti-inflammatory and stimulant properties, promotes healthy digestive functions, and prevents the buildup of waste in your digestive tract. How to use black pepper oil for constipation: Can be added in small amounts to various dishes in lieu of ground pepper for best effect. Helps release pent-up gas in the stomach and stimulates bowel movements and other digestive functions. How to use sweet basil oil for constipation: Can be added to your favorite meals or you can bathe in it. Mix a little bit of sweet basil oil into a warm bath and soak in it for about half an hour. Your skin will naturally absorb the relieving aspects and anti-inflammatory components of the oil. Contains natural laxative properties that can stimulate or force peristaltic movements in the muscles—this means marjoram oil forces the muscles to move in circular motions that actively expel waste through the digestive tract. This oil should only be used occasionally as a relief method, not preventative. Contains limonene and a combination of antioxidant compounds that relieve inflammation and set the digestive tract in motion. How to use lemon oil for constipation: Either inhale it through an infuser or gently rub it into the abdomen for immediate absorption into the skin. Stimulates gastrointestinal functions and increases circulation of food in the gut. This can help pump oxygenated blood through the stomach much faster and encourages peristaltic motion throughout the digestive tract, abdomen, and stomach for optimal digestion. How to use rosemary oil for constipation: Add three to five drops of rosemary oil in herbal tea or massage it topically into the abdomen and stomach area after combining it with a carrier oil. Contains limonene and myrcene, enhances circulation, boosts the immune system, has anti-inflammatory properties which promote healthy digestive functions, and relieves cramps and diarrhea. Prevents bloating, and since it’s a mild diuretic, it can also improve urinary functions. 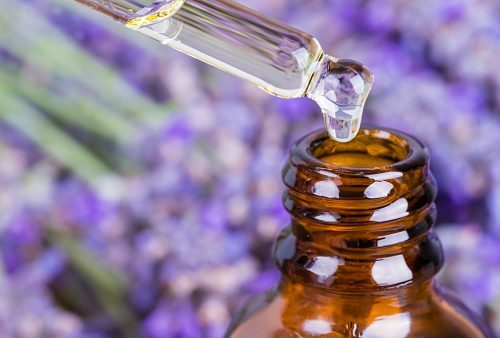 There are some imminent risks in overusing essential oils or using them incorrectly. Most essential oils require that you combine them with carrier oils before ingestion or topical use. This practice helps to dilute the potency and concentration of the active properties in the oils that can cause health problems in large quantities. For the best possible results, while using essential oils to cure or relieve digestive issues like constipation, you should consult a health professional such as a licensed aromatherapist, nutritionist, or your doctor. It also helps to conduct your own thorough research on the possible risks of misusing essential oils or using them for too long. There are a lot of studies that provide supporting evidence to the effect that essential oils possess a lot of health benefits. If you’re experiencing stubborn constipation, then your diet or exercise (or lack thereof) could be to blame. Incorporating any one or a combination of the abovementioned essential oils in your lifestyle is a good way to try to naturally remedy the issue. However, it’s important to discuss any changes to your regular diet or health regimens with your doctor in advance to make sure that you’re doing everything right.